YouTube offers such a vast array of content that you can pretty much find anything and everything you are looking for. This opens up a world of possibilities and learning too. However, we are all aware that cute cat and kitten videos have taken over the scene and more are being added all the time. It can brighten up your day, even if you are not an animal person, to observe the funny and adorable antics that some of these felines get up to on a daily basis. This collection of my top ten videos is by no means extensive or the definitive list, because everyone will have their own favorites. It does however, show you some of the greatest 'cat moments' and will definitely raise a smile or two. So sit back and enjoy ten of the best and most funny kitten and cat videos on YouTube today. Uploaded by ‘rozzzafly’ in 2009, 'surprised kitty' now has over 75 million views. The kitten’s expression mirrors that of the person tickling it. Surprise and humor are definitely the order of the day in this little gem of a video. This video was uploaded by ‘chuckieart’ way back in 2007. The 'keyboard cat' has now amassed over 39 million views and counting. If you look slightly to the left of the screen from around half way through, you can see the arms of the person who is making the cat play the keyboard. The cat is essentially sat in clothing with two arm holes which allow the ‘fake cat arms’ to poke through and play the piano. The cat seems relaxed as it closes its eyes at the end of the piece too. This video is certainly a slower watch and some say it is slightly scary. It builds in intensity towards the end, as the cat gradually stalks up to the camera. It really highlights a feline’s natural instinct to stalk their prey, as their bigger cat relations would do in a wild environment. The number of views for this little video are now in excess of 45.5 million since its upload in 2008. A more recent edition uploaded in 2011 by ‘MrRockzstar’, 'fluffy kitten' will certainly make you smile. It chases a blue sparkle on the end of a stick around the room but seems to get confused when the item is removed from its field of vision. 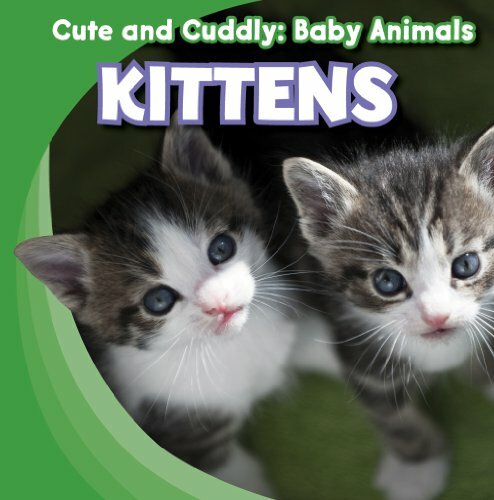 Now with over 30 million views, this is a staple of the YouTube cute kitten videos. This cat is extremely defensive and vocal in telling the camera person to stay away! Uploaded back in 2006 by the channel ‘Cat Video Funny Channel lol’, it now has one of the highest view counts that I am featuring in this top ten with over 87 million views and counting. This little kitten is featured in many different scenarios from being in a fruit bowl to sitting on a float in the middle of a swimming pool! The variety of the content in this one certainly lends to its success on YouTube. It was uploaded by the channel ‘nalts’ and now has a respectable 46 million views. This is one of the most adorable clips where a mother cat cuddles her kitten by reaching over it with her paw. A quiet video with no music, this is one of the more reflective cat videos which has still obtained a very high view count. It now has in excess of 57 million watches to date and was uploaded by ‘dragomirnet86’. This next video highlights that cats do not actually have to do much to get lots of views. This cute little kitten is simply tickled on the nose and has gathered 23 million views. Uploaded by ‘N30S3R’ back in 2008, it is still going strong. The channel called ‘The Cats Pyjaaaamas’ uploaded this video back in 2007, and it now has well over 58 million views. The cat on the left is called Mossy and the one on the right is called Stina, and they are both female cats. They communicate back and forth in the video and below the owner says that they did this for well over an hour! Uploaded by ‘JC Elliott’ in 2010, this interesting video shows two cats playing by touching their paws together repeatedly. It is an interesting insight into cat interaction as well as a short and fun video to watch. This footage has gained over 20 million views to date. I hope you have enjoyed these videos, and whether you love or dislike cats, a lot of people find them interesting and funny to watch. This is clearly reflected in the sheer number of views that some of these videos are accumulating. This selection is taken from 2005 to the present day. However, even more funny and cute cat videos are being uploaded to the internet on a daily basis, and at an astonishingly fast rate. Their success is clear and simple; cats can be both adorable and funny at the same time. As a bonus, here are two short compilation videos of cats and kittens having fun! Uploaded by ‘CAT HUB’, this video has over 52 million views to date and it was originally uploaded to YouTube in 2009. Uploaded by ‘Best Funny Videos’ only the other week in February 2015, this video has already had over 100,000 views and is only short and sweet in duration. At the risk of being a total downer, there is no content here just a list of videos you like. No history, no context, just a list of vids. While other people have done similar things, myself included, they almost invariably contain "meat"--useful information , useful or informative backstories, or even trivia. I am surprised and disappointed at seeing this on the front page. This is more of a blog post, suitable for, say, bubblews, not an article written for content. Sorry everybody who will come along after me and just love it to death, but it isn't an article. All it manages to do is promote the video uploaders' YouTube channels. And I've been pretty quiet about what goes out on the front page lately, but this just isn't up to snuff. If I'm wrong, so be it, but I don't think I am.